Doesn't that short phrase perk your ears up? It sure does mine. What surprises me, is that I recently checked out two books in the library, two very different books, one chosen for my reading group, and the other at random, and in both books the power of rumor in a small town makes up a big part of the plot. 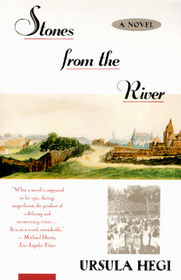 Stones from the River, by Ursula Hegi, published in 1994, is an epic novel set in the fictional town of Burgdorf, Germany, beginning in 1914 and concluding in 1952. It's about 530 pages, dense pages, 5 x 8 book size pages. 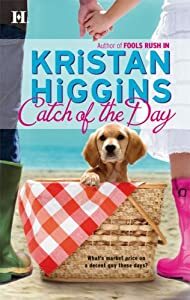 Kristan Higgins' Catch of the Day, published in 2007 is a wicked funny, contemporary romance, a trade paperback of under 400 pages, set in fictional Gideon's Cove, Maine, and covers the course of one year. While there is no population stated for Burgdorf, Gideon's Cove is 1,407; Burgdorf feels about the same size. Both lead characters (Trudi and Maggie) are in charge of a town gathering spot; Trudi runs (with her father) the town's pay-library; Maggie runs (inherited from her grandfather) the town's only diner. Both women are Catholic and the church is a fairly significant part of their lives and of the town's events. Trudi looks for a date in the classified ads of the newspaper; Maggie looks at online dating sites. So how do these books differ? Trudi is a Zwerg, a dwarf. This makes her a bit of an outsider, and what makes matters worse, her mother is crazy. As in, going to church and taking off all her clothes for the angels, crazy. Then she dies before Trudi is even four years old. Trudi learns to collect stories, and takes pride in retelling them, reshaping them, making them her own. She also has a touch of prescience. The Jewish people in Burgdorf are an integral part of the town, initially. But slowly, over the course of years, they are first subtly demonized. There are the German people, and there are the Jews, Us and Them. After the feeling of separation is created, after people have come to tolerate the Jews being insulted, cheated, stones thrown at their windows, they may have their fine houses and businesses taken away. If a Jewish person is thriving while the rest of Germany is in recession, it's easy enough to play on the resentment of the neighbors. Surely those things couldn't have been honestly earned. Once moved to the outskirts of town, they are then moved to other towns, and finally the "work camps." Hegi does a powerful job of portraying how such a horror can come about. At first, rather than protesting their mistreatment, many of the Jewish people themselves believe that if they just keep a low profile, this too shall pass. 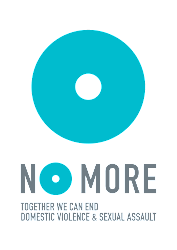 By the time the harassment gets serious, it is also taken for granted. Those who protest and speak up to defend their neighbors, are also jailed and harassed. I found this part of the story fascinating. I found Trudi herself sometimes admirable, generally interesting, and other times not very likable. In the beginning, when she believes that if she hangs from her arms, it will stretch her out and she will grow, I felt very sorry for her, and was moved by her experience of meeting another Zwerg, a beautiful and talented woman named Pia who was comfortable in her own skin. Then there's the search for a boyfriend or lover, because like any girl, she wants to be kissed, and loved. Trudi is definitely a complex, but not comfortable character. She uses rumors - collecting them, spreading them - to get back at those who've hurt her, or who've persecuted their Jewish neighbors. I think about 90% of the book is told from Trudi's point of view, including the first third. 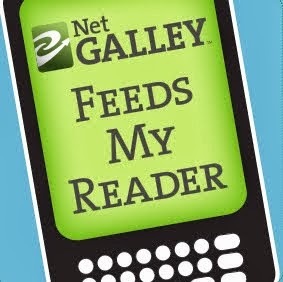 The early chapters move slowly, and several readers in my book group gave up right there. As Trudi's voice becomes older, it becomes much more compelling. The end, on the other hand, is a little choppy, as if the author realized how incredibly long the book was already, and felt the need to wind it up quickly. All in all, this is an excellent book, rich in description, and well worth the read. Maggie, in Catch of the Day, is the unmarried half of identical twins. Her sister Christy has a great husband, a beautiful baby, and a very nice house. Maggie is happy for her sister, but doesn't see why she can't have the same thing for herself. Then Tim O'Halloran comes into the diner: light brown hair, green eyes, broad shoulders, beautiful hands, and an Irish brogue. She falls in instant crush, and the only thing missing is what the man does for a living, because as he was telling her, there was a hubbub in the diner, and she missed that part of their conversation. She felt too embarrassed to ask him to repeat it, but that's okay, she'll be seeing him in church on Sunday. You guessed it, it's Father Tim. Unfortunately, Maggie is the kind of woman who finds it hard to keep a secret, so half the people in the pews know all about her hot Irishman, and turn to stare at her as the new priest appears at the altar and introduces himself. The book is light, hilariously funny, as Maggie gets into one dating scrape after another, not always her fault. She owns and runs the diner, to her mother's vast disapproval, she also owns a small house in which she rents an apartment to a 91-year-old widow, to whom she brings food, watches movies with, and cuts bunion pads for. Maggie also babysits her baby niece one night a week, and does Meals on Wheels one night a week. Her hero, besides her dog, Colonel, is Malone, the lobsterman who berths his boat next to her brother's. Malone is almost a caricature of a Maine lobsterman. Nobody even knows the man's first name. In this story, Maggie manages to generate and spread rumors that hurt not only herself, but the man she's fallen for, and her friends. Have rumors ever gotten you in trouble? 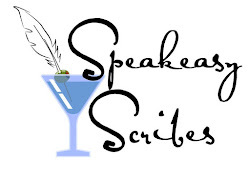 Would people call you a good gossip, or a good secret-keeper?